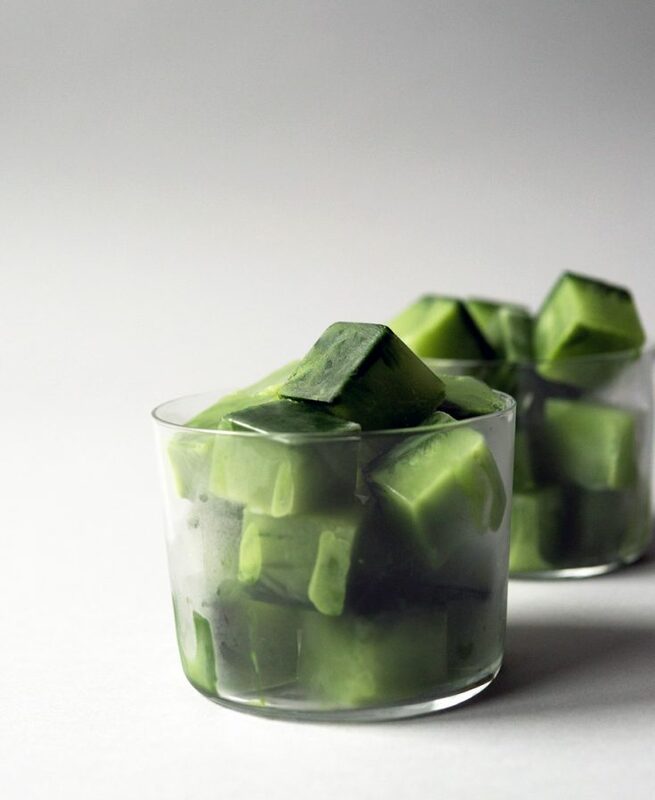 These green tea ice cubes are the perfect way to have a really cold cup of matcha latte on a hot summer day. Let the freezer and a milk frother do all the work with this simple ice cube recipe. How good does that look? Haha, I know, I’m so humble. 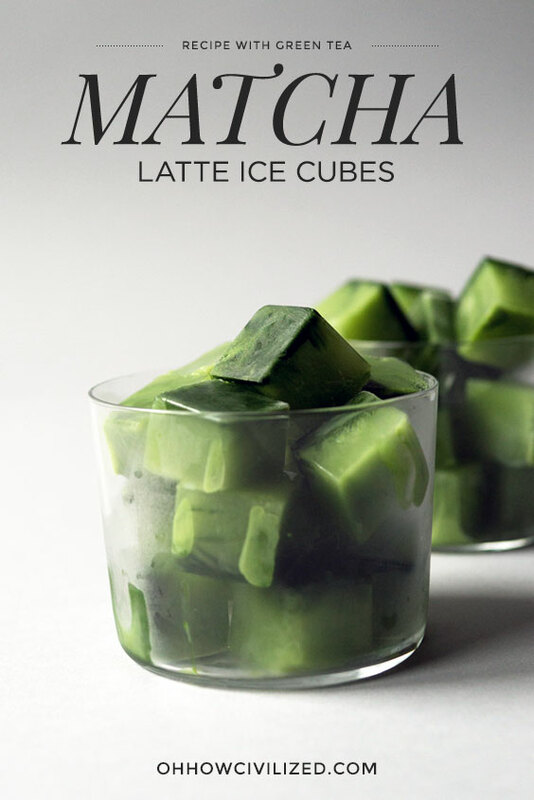 I made a few versions of these matcha ice cubes before I was happy with how they turned out. In the first couple of batches, I tried just matcha green tea and water but I didn’t like how the matcha separated from the water as the green tea powder settled to the bottom. Next, I decided to try a layered effect using sweetened condensed milk. BUT, when I took it out of the freezer, it was a big ole mess since the condensed milk didn’t freeze due to the high sugar content. On my final try, I mixed the condensed milk with matcha and water and ta da, it was a success! Good quality, bright green matcha is a must. Look to spend $15 – $30 regardless of whether the package is labeled ceremonial or culinary grade. Milk, water, and condensed milk. The key to keeping the matcha clump-free. I LOVE this thing. So easy to froth milk perfectly each and every time. To get small, adorable square ice cubes. Show off the pretty ice cubes melting into the milk. 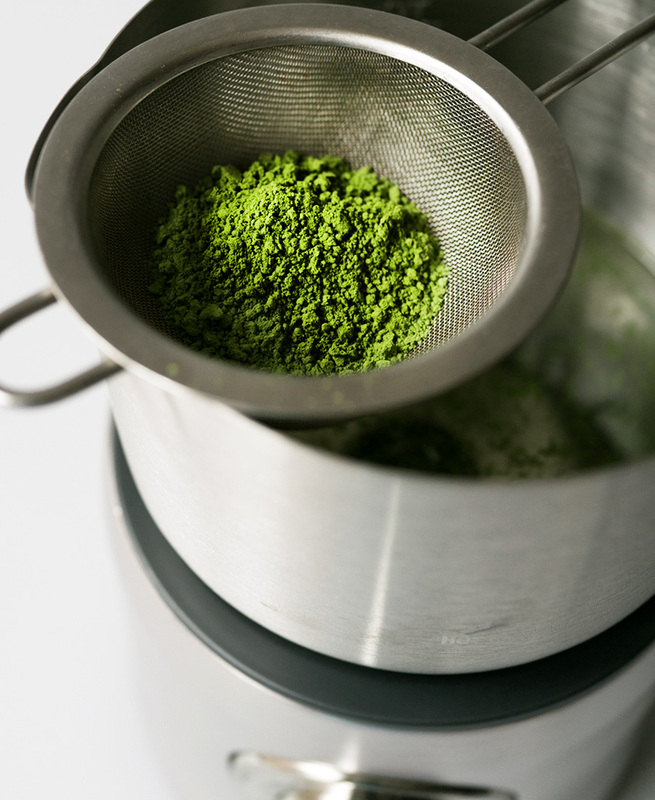 The key in any matcha recipe is to sift it using a strainer since this will get rid of any clumps. For this recipe, I used my milk frother that produces a nice silky foam on both hot AND cold temperature settings. 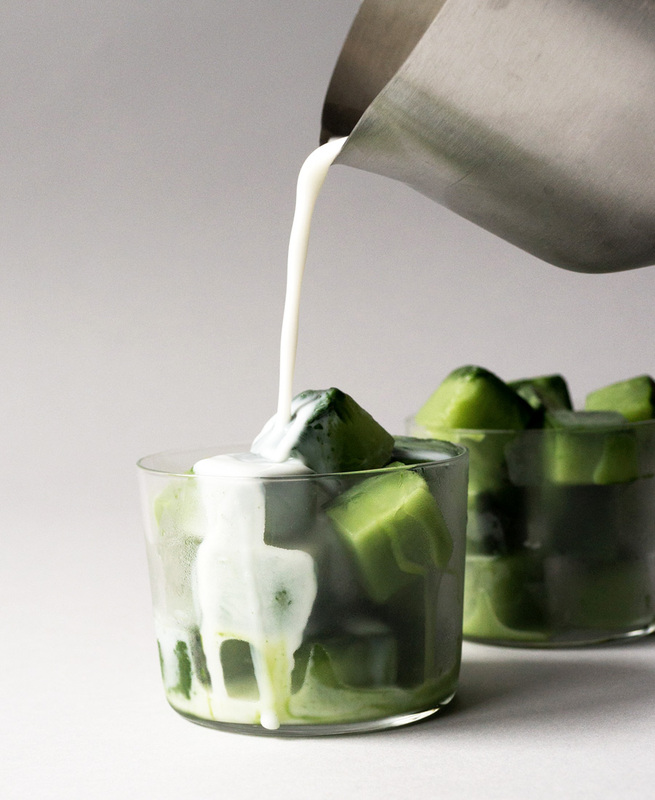 For this matcha ice cube recipe, I used the milk frother twice. 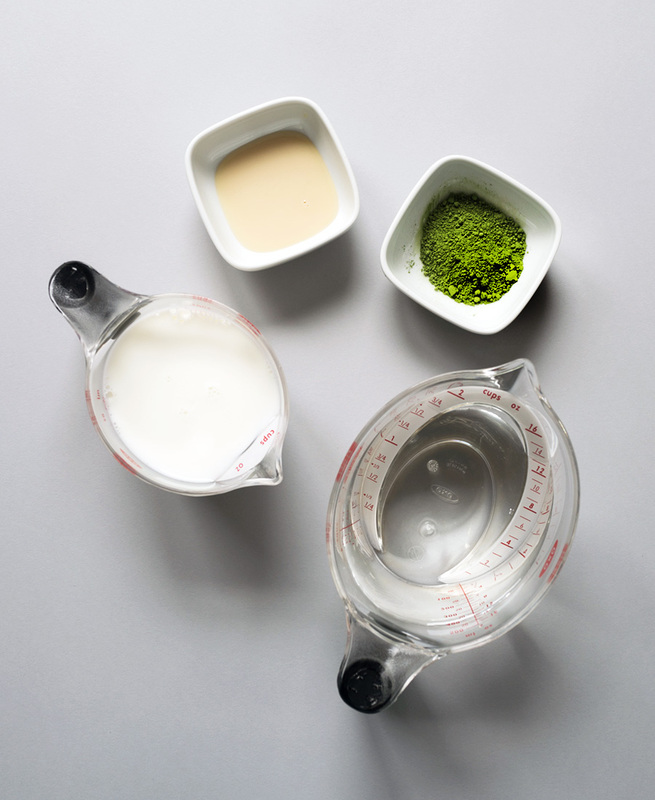 First to mix all the matcha ice cube ingredients and then again to froth the milk for the iced matcha latte. Don’t worry if you don’t have a device like this JUST for lattes, you can use a small hand whisk, or a handheld milk frother, or even a jar with a tight lid to shake all the ingredients together. I used this ice cube tray that makes 48 tiny 7/8″ cubes. I really like the size because I can pop them in my mouth like little bursts of icy matcha latte candy and cool down immediately on those super hot summer days. 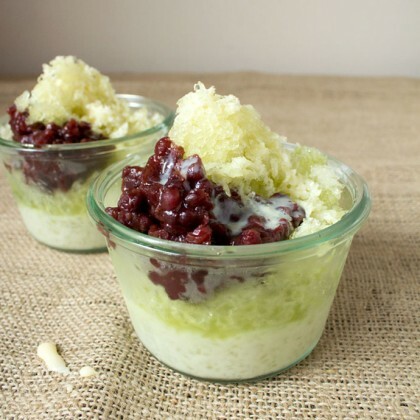 Sifting the matcha will help prevent clumps and give you a smoother ice cube. If using the milk frother, make sure to set the temperature to cold. 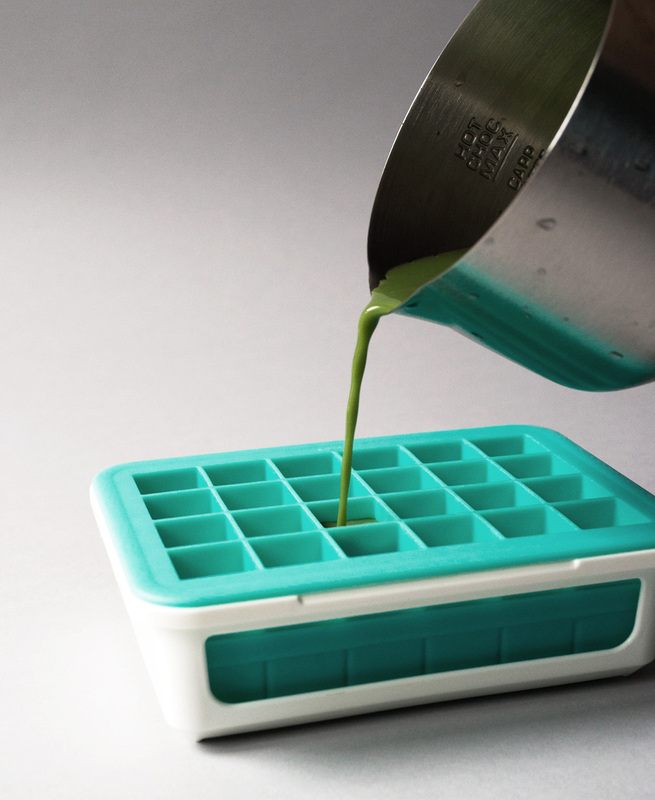 The matcha will settle to the bottom of the ice cube tray as it freezes so seeing the gradation is natural. These green tea ice cubes are the perfect way to have a really cold cup of matcha latte on a hot summer day. 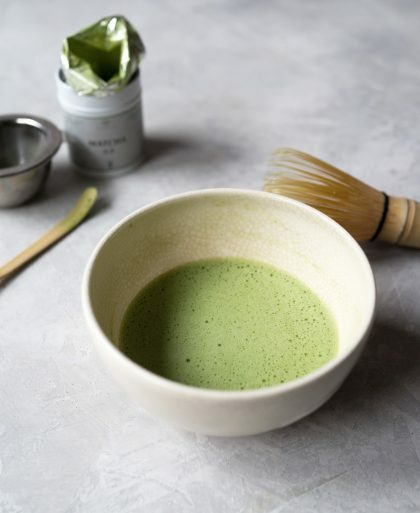 Combine water, sifted matcha powder, and sweetened condensed milk until matcha is completely incorporated and there aren't any clumps. 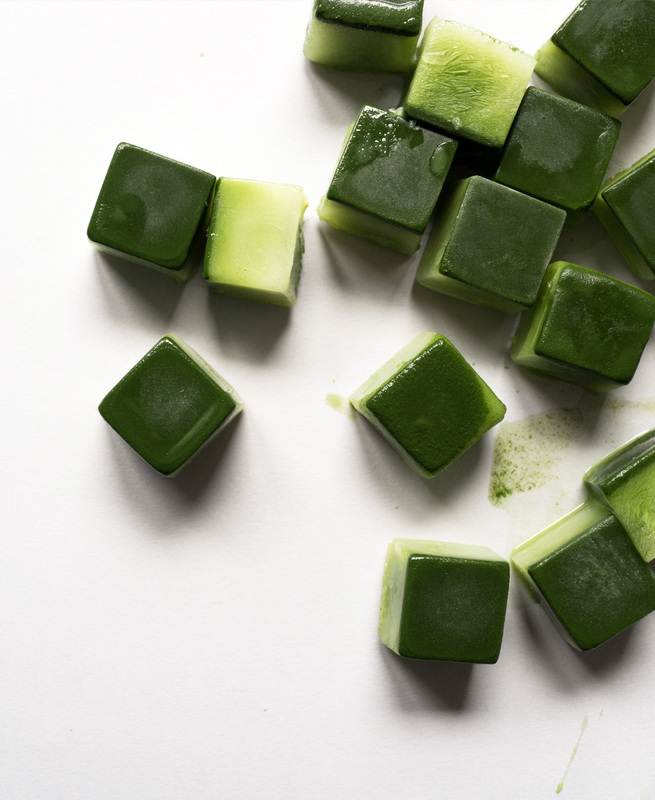 Pour matcha mixture into ice cube tray and freeze. To serve, pop out 10-12 small cubes into a glass and pour milk on top. 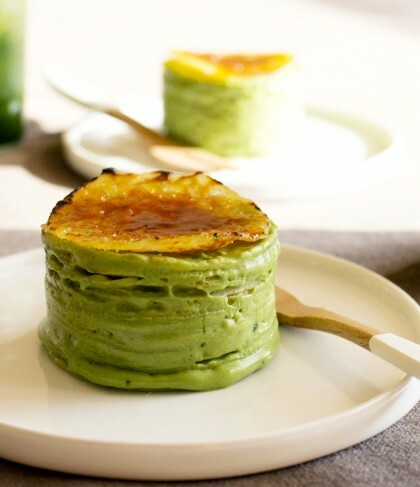 These should definitely be on the menu of matcha cafes and teashops everywhere!